Hair can be your greatest fashion accessory when you have a great cut or color; but it can also quickly become a major style faux-pas when you don't. But what about hair that accessorizes when it doesn't really belong to you, at least not genetically. 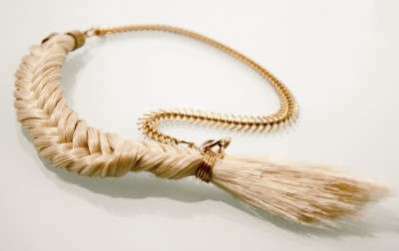 Do the same rules apply with hair jewellery? We've seen hair jewellery before, and when used artistically, the look is chic and it also offers a great conversation starter. 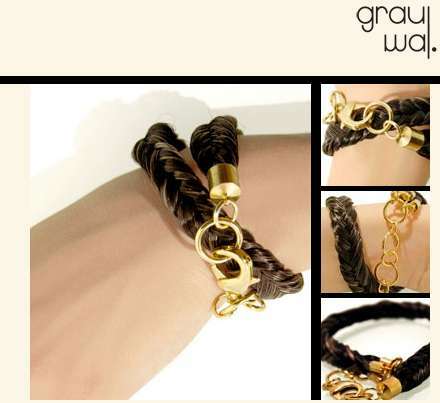 The hair jewellery by Grau Wal might just be subject to the same rules as the hair on your head when it comes to evaluating style, and you decide whether they are must have accessories or if they fall into the "faux-pas" category. 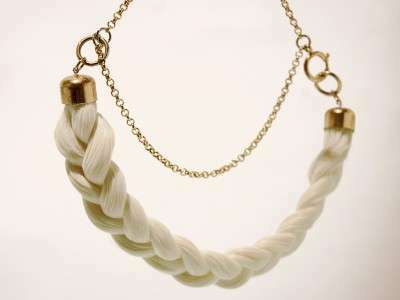 The Grau Wal line of hair accessories takes its cues from the Victorian era with chic braids that they make from synthetic hair and then transform to earrings, necklaces and bracelets. Some of these accessories might be reminiscent of Rapunzel, but do they need to take a trip back to the hairdresser's?